Solar storms can potentially cause major problems to mobile phone networks, the national grid and internet banking. 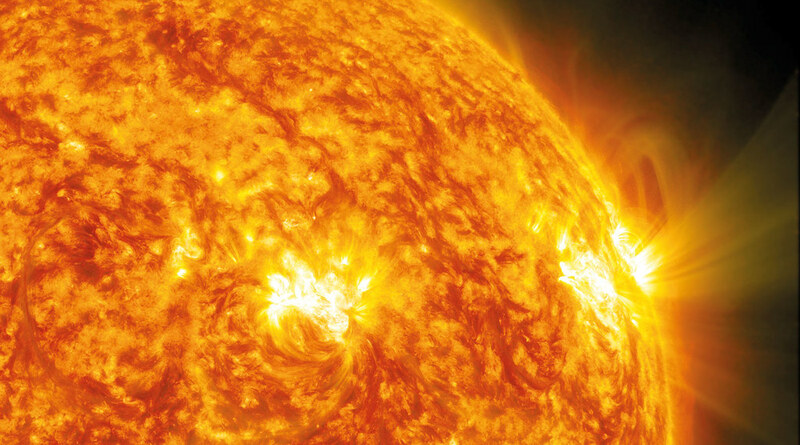 Storms on the surface of the sun can result in the Earth’s upper atmosphere being bombarded by powerful radiation. Peaking every 11 years, and currently with us between 2012-2014, these storms can cause major problems to Global Navigation Satellite Systems (GNSS), including GPS – and have a major impact on our infrastructure. So many devices, including mobile phone networks, the national grid, internet banking and aircraft landing systems rely on GNSS. Researchers at University of Bath's Invert centre for imaging science have provided a solution to warn of the effects from natural solar events and correct for them. By studying images of the ionosphere during solar events, the researchers can warn of the effects and correct for GPS errors. To enable this, the University runs a network of GPS scintillation receivers located from the Arctic to the South Pole, which provide information about signal loss and fading. In the Arctic and the Antarctic - where the geomagnetic field is near-vertical - the upper atmosphere is exposed to solar radiation continuously, whereas lower latitudes such as the UK are only exposed during the most extreme solar storms. By studying the polar regions the researchers can understand the physical interactions underlying the processes disturbing GPS signals. Using this information, the team has developed the Multi-Instrument Data Analysis System (MIDAS) software: an advanced algorithm for the real-time imaging of the earth’s ionosphere. MIDAS enables ionospheric errors to be measured and largely removed – allowing for more accurate GPS timing and real-time positioning. This has led to improvements in the ability of GPS technology to withstand space weather. The result is a reduction in the effects it has on our infrastructure and services. The researchers have developed a real-time service based on MIDAS technology, and are now demonstrating and promoting it to potential industry users.